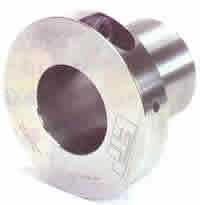 ETP are specialists in the connection of shafts and hubs by friction. 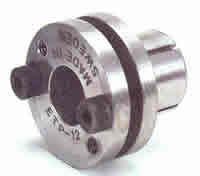 Their unique hydro-mechanical principle results in fast fixing, easy adjustment and quick removal. In operation mechanical is applied to a pressure medium contained within the ETP bush. This expands the walls and grips both hub and shaft, evenly and securely. General purpose friction joints for fast mounting, easy adjustment and trouble-free disconnection. 15 to 100mm and 3/4" to 4"
Single screw precision friction joints for the fastest fixing and removal, high accuracy. 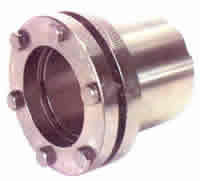 Corrosion protected bushes ideal for food machinery and severe enviroments. 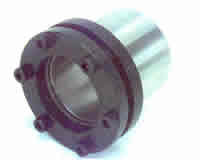 Miniture mechanical friction joints, simple and economical hub fixing. 6 to 14mm and 1/4" to 1/2"
High precision hydro-mechanical friction joints for large shafts and high loads.